Today is the fourth Wednesday of Radhika's event. We all enjoying it a lot. Today I am paired with Priya Vasu of Enveetu Kitchen. She has nice space with so many yummy and interesting dishes. You must visit her blog. I chose Poha Balls recipe from her blog. I replaced some ingredients according to my children's taste. Wash the poha in a strainer and set aside. Combine poha, mashed potatoes, paneer, peanuts, salt, chili powders, ginger, green chili, oregano, capsicum and fresh coriander in a mixing bowl. Mix very well. Check the seasoning. Now take a little amount of the mixture and shape into kebabs. Make other kebabs in the same way. Heat oil in a deep bottom pan and fry the kebabs on high flame till golden brown in color. Drain on an absorbent paper to remove excess oil. 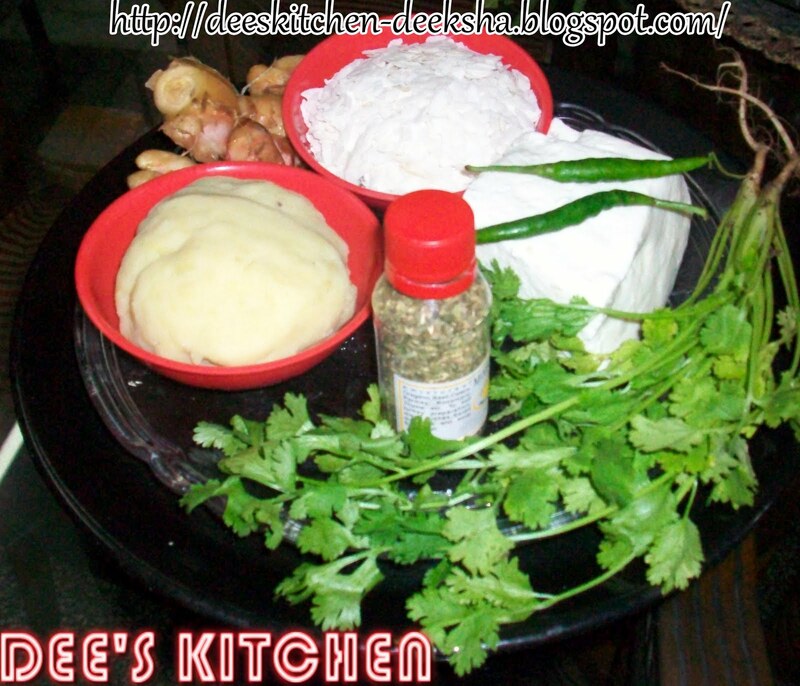 Serve hot with tamarind chutney..!! Sending this to Khushi's event: What's on your Kebab Platter? nice idea of adding poha to the usual potato kebab...looks crispy and tempting..did you get the crispy texture without even using bread crumbs? Crispy, crunchy kebabas, perfect with some coffee! Can't say anything except 'munch and crunch'. looks super tasty! yummy yummy too good ..
A great snacks recipe and I hope it goes very well with a cup of hot tea! Love such crisp snacks with tea..Delicious! 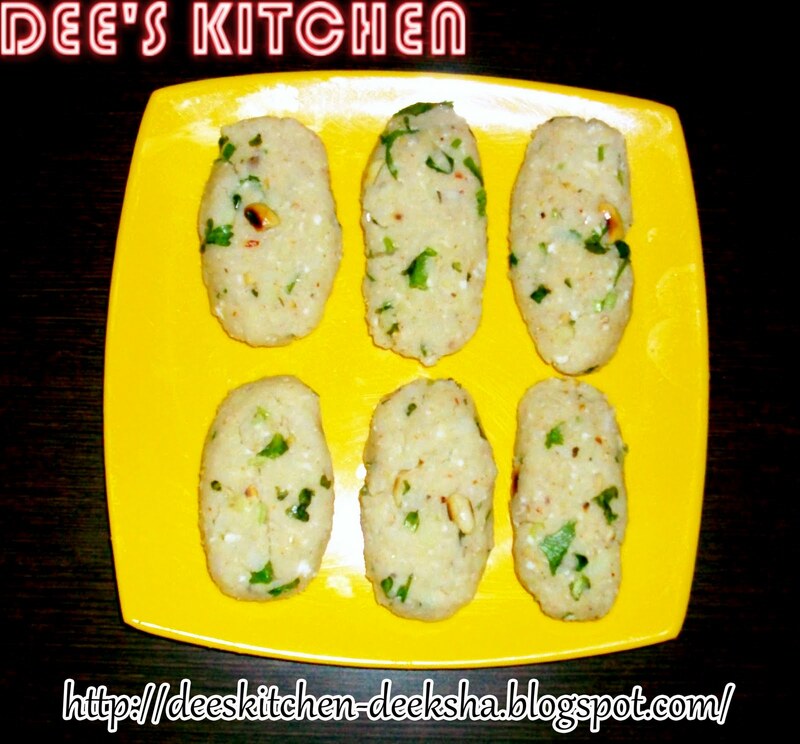 wow, love this twist, adding poha to potato and making kababs, they look superb !!! delicious choice, Deeksha! Love these they look so crisp on the outside but I am sure they are soft and melty on the inside -YUM! Poha kabab looks crunchy and inviting also.. 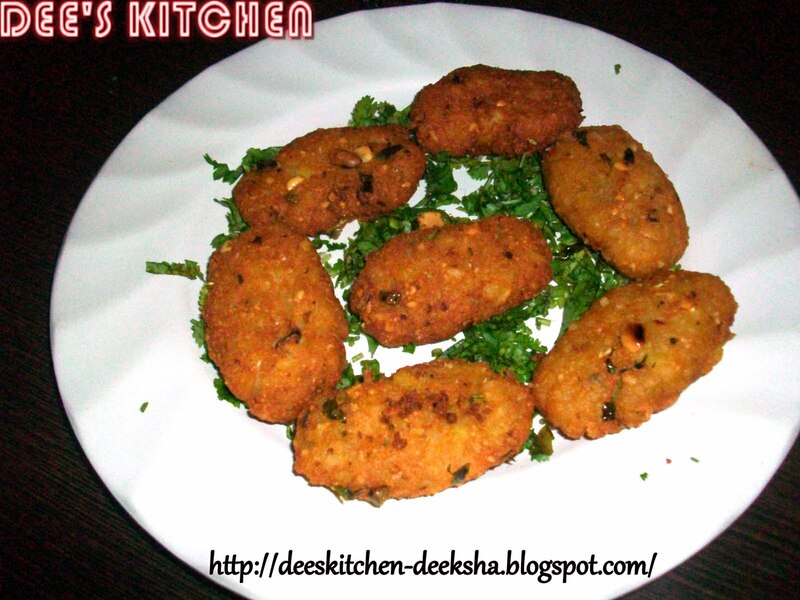 Delicious crispy kebabs looks simply inviting.. Thanks all for the sweet words of appreciation. 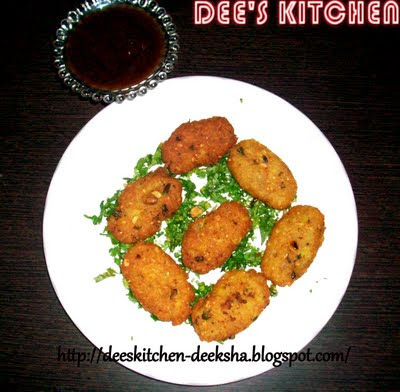 That is a fantastic snack to make and with poha .. i would have never guessed! Hmmmmm sounds interesting...will try without using paneer.